This is my first collection of musical spoken word recordings. Each recording puts a satirical slant on self improvement, self medicating heartbreak with humor, and dropping the mic on depression. The recordings are scored with synth melodies, backing beats, and radio drama sound FX. A piece about seeing red when your space is violated. 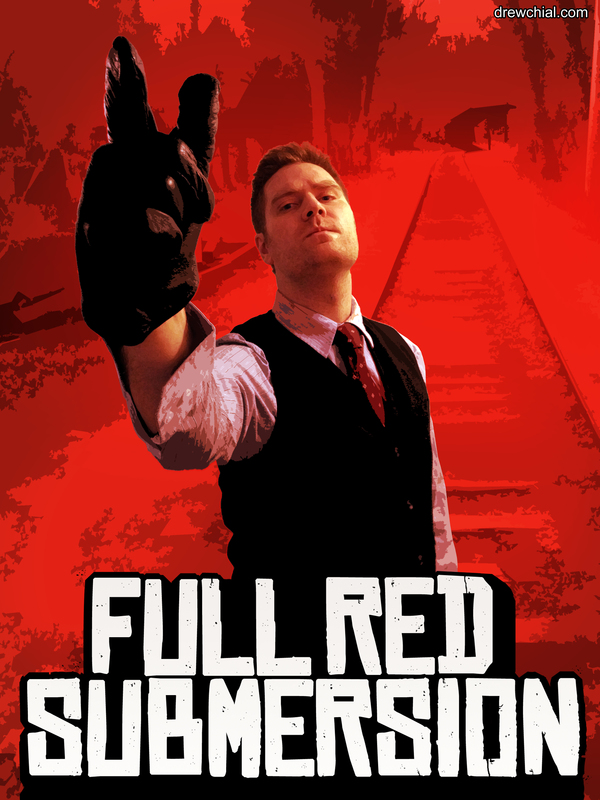 I was thinking of calling this “Red Drew Redemption” but thought better of it. Have you ever felt so rotten you were afraid people could see it in your face? Reading your micro expressions, they caught the instant your smile fell out of synch with your eyes. From there, your audience put all the pieces together. They took a second look at your posture; your arms crossed over one another, like a Jolly Rodger made flesh, and they just knew. Shifting your weight to one heel, you leaned away from their scrutiny, drawing a border with your free foot. Ignoring these cues, they breached your comfort bubble. They listened as the inflection dipped from your voice, as your confidence waned, and your tongue twisted. Your composure seeped out, like a sigh through your lips. Your shoulders slouched. Your accent shift. Your customer service mask slipped. There was a draft where your armor should’ve been. Your space had been invaded. You were exposed. Your audience got in on your introversion. Finding their way into your attic, they were pulling out your insolation. I’m talking about that embarrassing moment when someone calls you out for having a bad day, when you’ve done everything in your power to bury it. This is about the sense of violation from someone telling you how you’re feeling. I have to admit, I wrote this one shortly after ending a career in retail where I’d accumulated my share of these experiences.